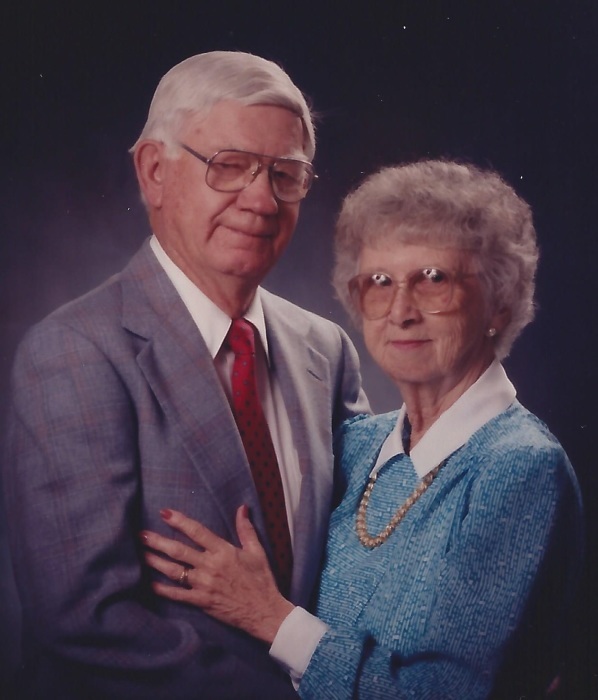 Freda Lucile (Wilkinson) Groff, 93, of Lancaster passed away on Tuesday, March 26, 2019. Freda was born October 9, 1925, in Sugar Grove. She was a graduate of Berne Union High School Class of 1943. Mother, yesterday you taught us the ways of the world, how to handle life’s many challenges. You gave us your love, your understanding, your strength, and your time. You guided us down the road of life. Today, you continue to lend us that caring hand, and help us as we continue to grow, for this it is we who are blessed. Freda is survived by her two sons and daughters-in-law, Rick and Maryann Groff of Lancaster, Randy and Judy Groff of Lancaster; 6 grandchildren; 14 great-grandchildren; brother and sister-in-law, Harry and Linda Wilkinson of Lockport, IL. ; and many nieces and nephews. Freda was preceded in death by parents, Dors Preston and Sadie Ethel (Wilson) Wilkinson; step-mother, Roseanna (Wilson) Wilkinson; husband of 51 years, Harold E. Groff; sisters and brothers-in-law, Betty and Eddie Westerman, Janet and Charles Hedges; and brothers and sisters-in-law, Fred and Mazie Wilkinson, Perry and Maudie Wilkinson. A memorial service will be held at 3:00 pm, Thursday, April 11, at the Frank E. Smith Funeral Home, Lancaster. Family and friends may visit from 1 to 3 pm prior to the service at the funeral home. A private burial will take place at a later date in Maple Grove Cemetery.